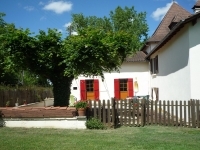 Situated in a small village,Gite Coquelicot provides comfortable accommodation for 4 people, having 1 double bedroom and 1 twin bedded room. 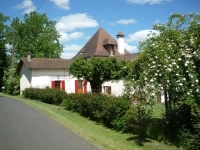 The Gite has private parking, a small garden, and has sole use of the 8m x 4m swimming pool. 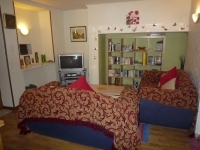 Inside the Gite, we offer English TV, a compact kitchen and open plan lounge diner and a modern bathroom. Everything has been thought about, so all you need are your bathing costumes and suntan lotion!